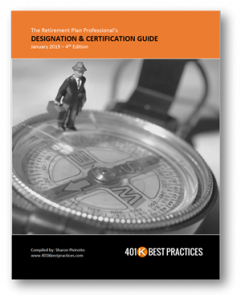 Welcome to the 401k Best Practices Blog! 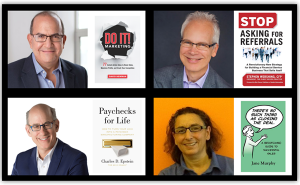 Looking for more content, inspiration, and success strategies? Join the newsletter to be notified of new articles. Follow me on Twitter for inspiration and a variety of business building strategies. Connect with me on LinkedIn where I share life and business lessons. Looking for an Investment Committee Toolkit (Turn-Key Documents)? The 2019 Retirement Designation & Certification Guide is now available.